I am such a sucker for good packaging and Trader Joe's gets me every time! 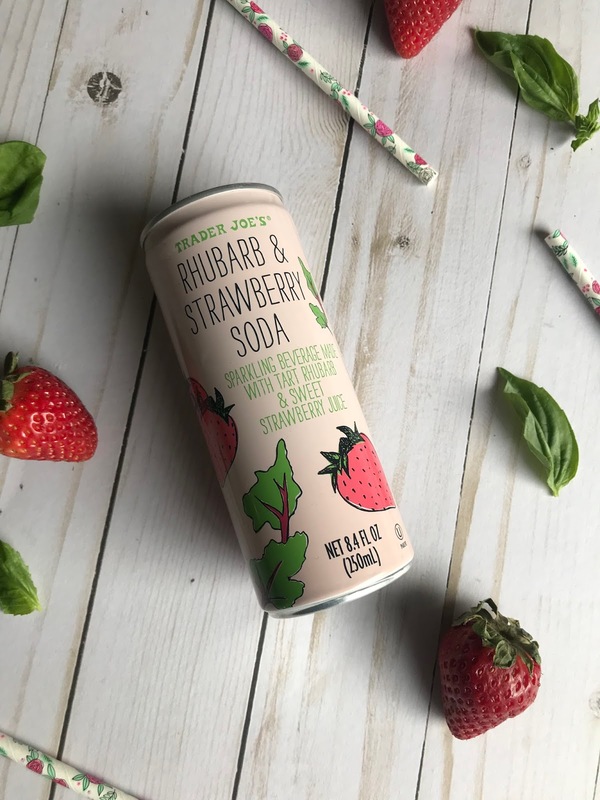 When I saw these adorable pink cans with little strawberry and rhubarb illustrations my soul sang! They were instantly going home with me. Rhubarb holds a special place in my heart! So much so that when I was little I named my cat Rhubarb but thats a story for a different day! So many excuses to buy soda! 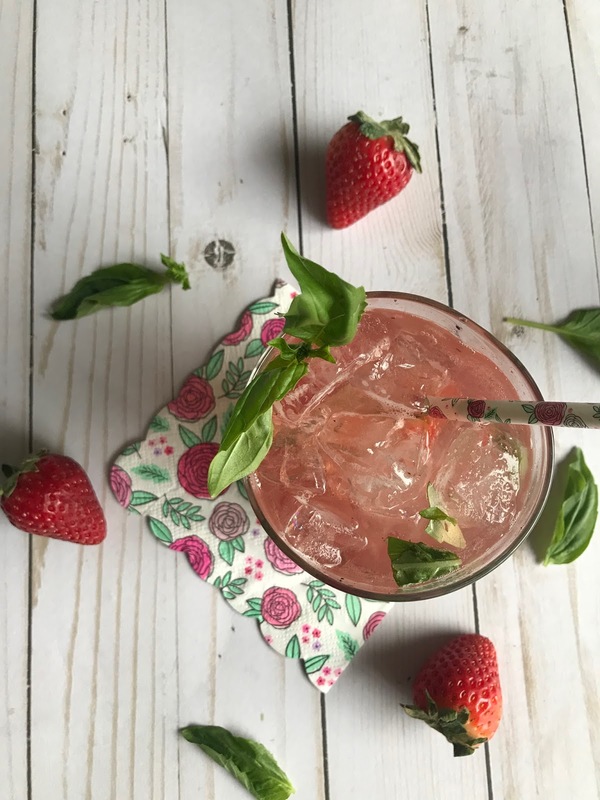 I love the addition of fresh herbs in cocktails and basil pairs so well with strawberries that I just had to add some freshness to this spritzer! The combo of flavors in this bubbly drink are pure perfection! Its almost dangerous how refreshing and crisp it is! I could have 3 without batting an eye... and maybe I did. You'll never know! 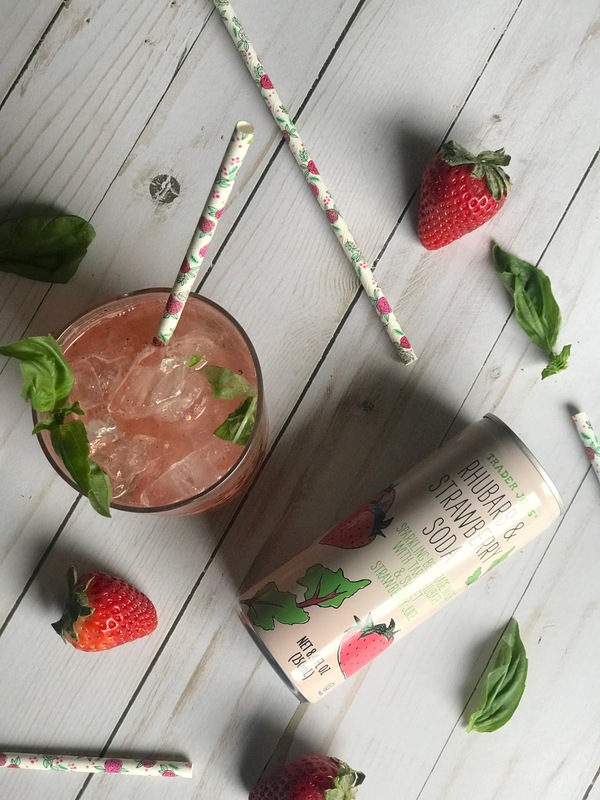 Muddle the strawberries and basil in a glass. Fill with ice. Add vodka and soda. Stir!